Fast Folders are in stock and ready for delivery. Produced on 12pt. laminated stock, Fast Folders can be silk screened, foil stamped or embossed. 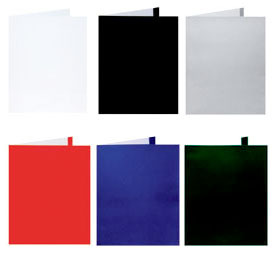 Order as few as 100 imprinted folders or 200 plain folders. Available in white, black, silver, red, blue or green.